Manhattan’s Upper West Side neighborhood is home to many of New York City’s most famous cultural and historical locales. But it is also home to a booming new construction housing market that has many New Yorkers setting their sights on this ever-popular area. Tourists flock to the Upper West Side to visit New York staples like Lincoln Center and the American Museum of Natural History. And thousands of music aficionados pay their respects every year to the late John Lennon at the Dakota, the building Lennon called home and the spot where he was murdered. Even casual cinefiles know where to find Sigourney Weaver’s haunted building featured in the classic film Ghostbusters. Locals are drawn to the area for its proximity to Central Park, easy access to mass transit, and scores of diverse eateries and a hopping nightlife scene. With more new developments hitting the market all the time, it’s not surprising that the Upper West Side neighborhood continues to have the most new construction sales boroughwide quarter after quarter. The Astor was developed by HFZ Capital Group and houses 98 units, ranging in size from 950 square feet to 3,253 square feet. It is located at 235 West 75th Street, a few blocks from the American Museum of Natural History. The Astor is easily recognized by its three classic towers and was recently meticulously restored to combine classic architectural design with modern finishes. Many of The Astor’s pre-war details remain, from the decorative cornice that crowns the exterior to the intricate mosaic and marble details of the lobby. Units feature ceilings as high as ten feet, wood-burning fireplaces and decorative moldings. They have been updated to include features such as double-pane bay windows, three-paneled doors, as well as top-of-the-line appliances and fixtures. 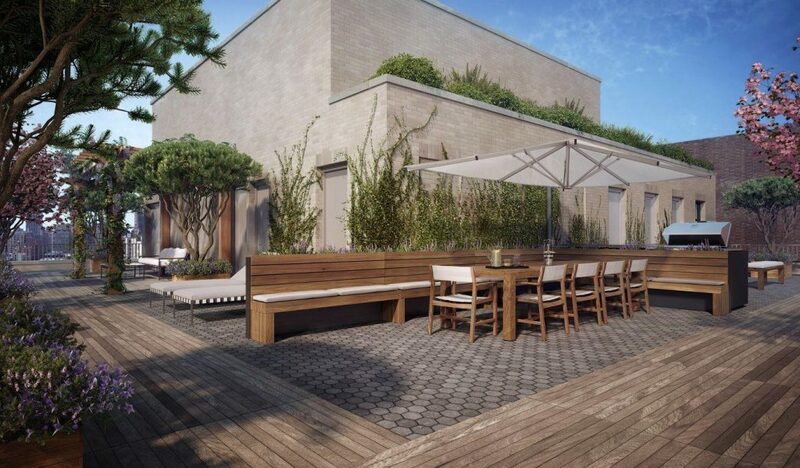 Amenities include: cold storage, children’s playroom, private storage and a fitness center. Pricing for available units starts at $1.8 million. 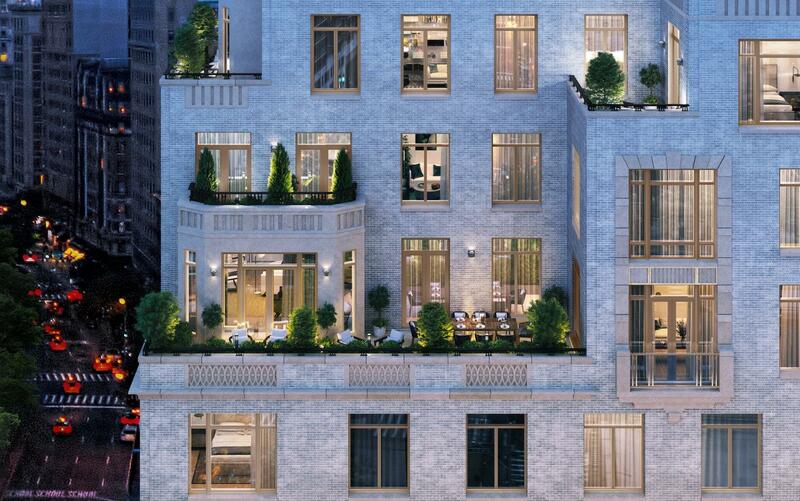 250 West 81st Street was developed by Alchemy Properties Inc. and The Carlyle Group. It has a total of 31 units, ranging in size from 1,571 square feet to 3,836 square feet. The building’s elegant and classical silhouette is accentuated by setbacks and decorative window openings. It is finished in limestone and warm, handmade, grey brick and articulated frieze details. The layouts and window placements were carefully considered, perfectly framing views of the famous Manhattan skyline. Great rooms emphasize a sense of space with elevated ceiling heights, oversized windows, and oak flooring hand-laid in a herringbone pattern. Amenities include: a sky terrace, library lounge, basketball court and a golf simulator. Pricing starts at $3.9 million. Designed by Anbau, 207W79 has a total of 19 units that range in size from 1,995 square feet to 4,205 square feet. The building’s design was made to reflect the grandeur of the Upper West Side’s architectural heritage. 207W79 is a thoroughly modern residential building, with residences incorporating elements of the building’s exterior. Master bathrooms are tiled in an Empire-style rattan pattern in marble and porcelain, with Bianco Bello marble walls and countertops, vanities with micro-architectural fluting, and faceting on the brushed nickel Lefroy Brooks fixtures. Amenities include: a 24-hour doorman, bike storage and a gym. Pricing begins at $4.8 million. 221 West 77 was designed by Naftali Group and houses a total of 26 units, ranging in size from 2,048 square feet to 6,990 square feet.The building’s facade is sleek and modern, while 221 West 77’s residences infuse old-world elegance with a fresh, contemporary feel. Floor-to-ceiling windows hark back to the classic casement windows of the Upper West Side and lead to Juliet balconies. Living areas are spacious and full of warm natural light. Solid oak flooring runs throughout for a clean and elegant look. The building’s cascading terraces allow residents to enjoy the surrounding cityscape, while still maintaining a sense of privacy. 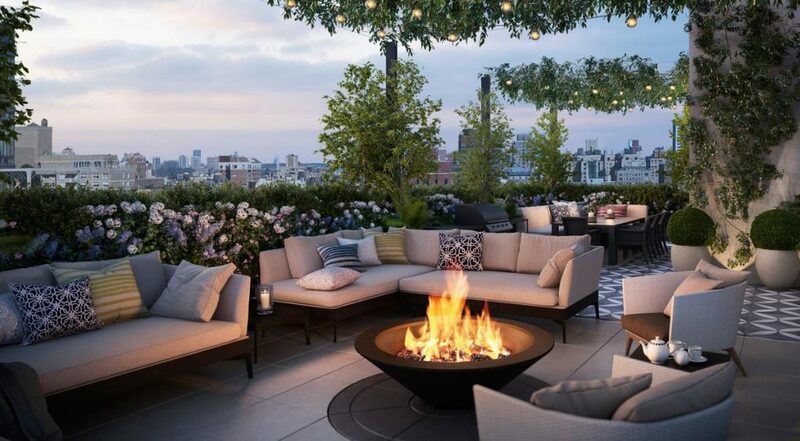 Amenities include: a rooftop terrace, outdoor grilling stations, on-site parking, billiard tables and resident storage. Pricing starts at $4.9 million. 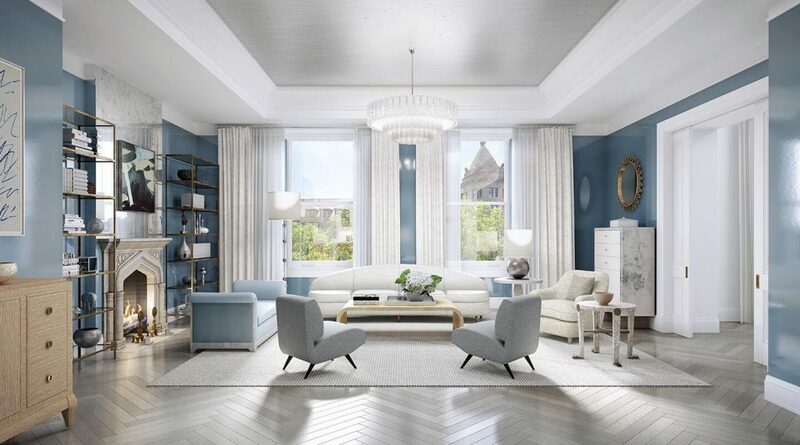 Designed by GTIS Partners, 101 West 78th Street is a distinctive, late 19th Century residence located directly across the street from its architectural contemporary, The American Museum of Natural History, and one block from Central Park. It houses 24 units that range in size from 2,397 square feet to 4,820 square feet. 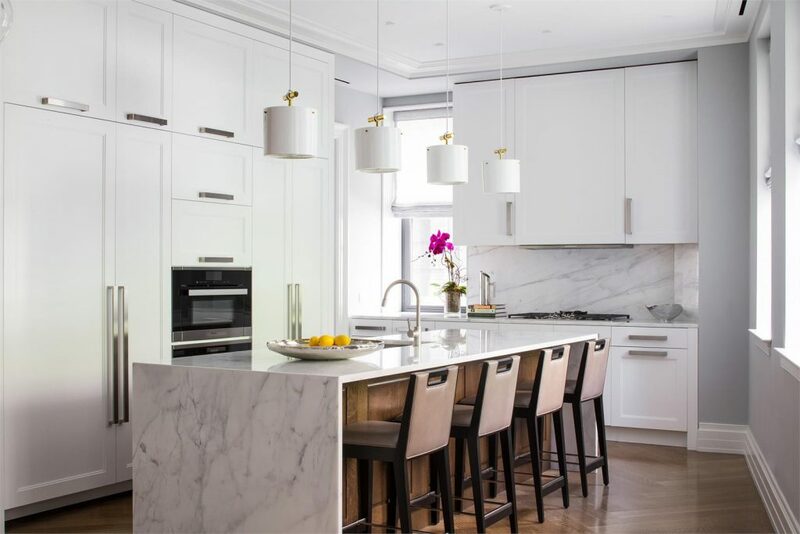 The spacious rooms at 101 W 78 boast grand foyers, eat-in kitchens, formal dining rooms, large bedroom suites, and marble fireplaces in select homes. The great rooms are particularly grand in size and are flooded with light from oversized windows. Amenities include: stroller storage, a children’s playroom, a fully attended lobby and bike storage. Pricing starts at $5.9 million.